Sydney’s Burrow Bar turned three years old at the tail-end of 2018, and it was a good year for them: they completed some renovations inside the venue they’d been wanting to make for a while, picked up a slew of nominations at the 18th annual Bartender Magazine Australian Bar Awards (including one for Small Bar of the Year and one for Bar of the Year), and they embarked on the first in a series of pairing dinners at the bar. 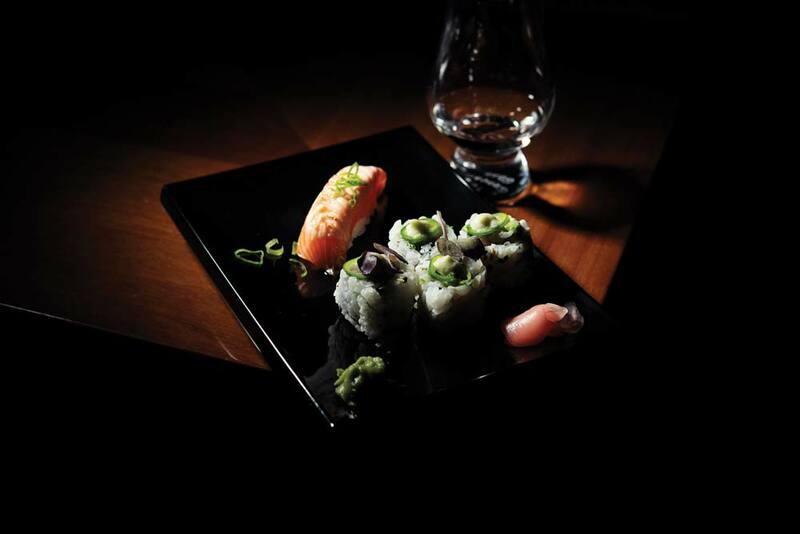 The first event took place in November and caught our eye for its unusual pairing: agave spirits and sushi. Sushi chef Eren Gok — who is the acting head chef for the Rockpool Group and whose resume includes Zuma Sushi Restaurant in Miami — got behind the bar to plate up a six course sushi menu complete with matching neat agave spirits paired by co-owner Bryce McDonough and bartender Conor O’Brien. We asked co-owner Chau Tran to tell us a little more about this unconventional pairing, how they devised the menu, and what benefits these kind of events can bring to your bar. What was the big idea behind holding the pairing event? At Burrow we’ve always believed good booze has a story and place both on its own and alongside the most unsuspecting of pairings – that philosophy permeates through our menu (both food and liquor) as well as our cocktails. Over the last three years we’ve managed to grow our circle of hospitality family to include some really amazing chefs, so the conversation to do something together as chefs and bartenders had always been floated. and hypothetical matching dinners always got tossed around until one evening we decided to actually pick a date and commit to the idea. At Burrow, I used to throw together a family meal for whoever was there at close, so the chefs we befriended had always wanted to do one for us in return. 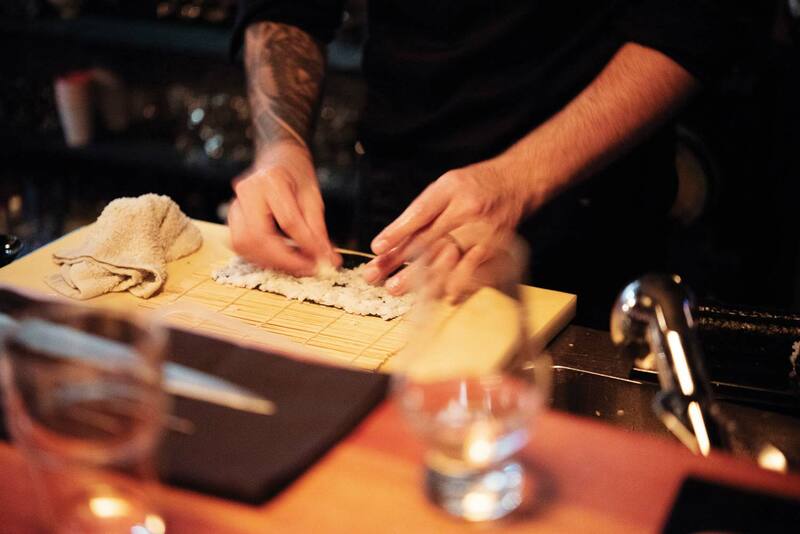 Naturally you get talking about the path that led you to Sydney, the stool you’re sitting on at Burrow – and one evening we found out Eren was actually an amazing sushi chef and this event had its first lightbulb moment. Coupled with Bryce’s start in bartending in Japan the two really pelted through what the matching could look like. 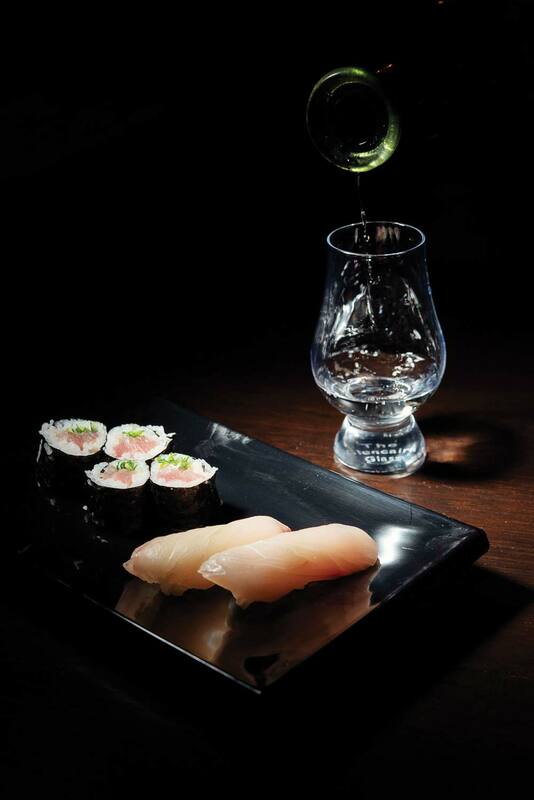 For the concept behind pairing these two things, we thought it would be fun to go a road less travelled – in Japan sushi is consumed with either sake or beer, and then finished with tea. Wine pairings are an obvious extension, but Bryce seems to think there are flavour overlays between agave spirits and sake, and was insistent we try and work with that as a start point. It’s not always a good idea to listen to him, but this time it seems to have worked out ok. There was a stronger flavour from the Hamachi and fatty /cream mouth feel from the avocado and Kizami wasabi. How long did it take to plan and execute? Weeks of creative whiteboarding – sometimes tipsy, sometimes dry – then three weeks to execute with a week and a half to sell tickets. It all came together rather quickly once we bit the bullet and commited to it. How did the punters enjoy the evening? 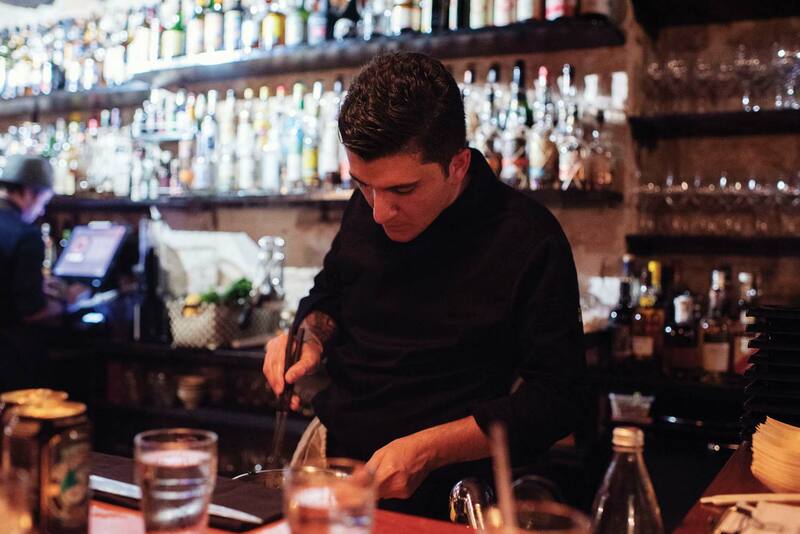 The guests we had in had a great time – what can go wrong with six agaves, a handsome chef and a bar team like ours? Being a first time out, there were always going to be a few growing pains as we found out the best way to perfect service in the future. Feedback was really positive on the night in regards to what we were trying to do. What were some of the difficulties that you faced? The struggle would be the ever creative way a chef’s mind works – they want to keep evolving, freestyle and read an individual’s palate on the fly the way they aren’t given the freedom to usually. Sourcing of all the fresh seafood involved suppliers we don’t usually deal with so we hit up a few of them with the chef and worked out how to get what we needed when we needed it. And of course being a first time there was a bunch of equipment we needed which had to be found – I’ve never seen anyone smile the way the chef did when we got the chopping board he requested especially for the evening. In regards to the pairings, there were a few which we weren’t exactly sure as to what to expect purely from the chef’s description, so we had a couple of options lined up and would make a call once we could try them. This sushi dish got a bit spicier and heavier with a stronger flavour from fresh green chilli, spiced miso and daikon. How did you go about matching each agave with the sushi — what’s the process involved? 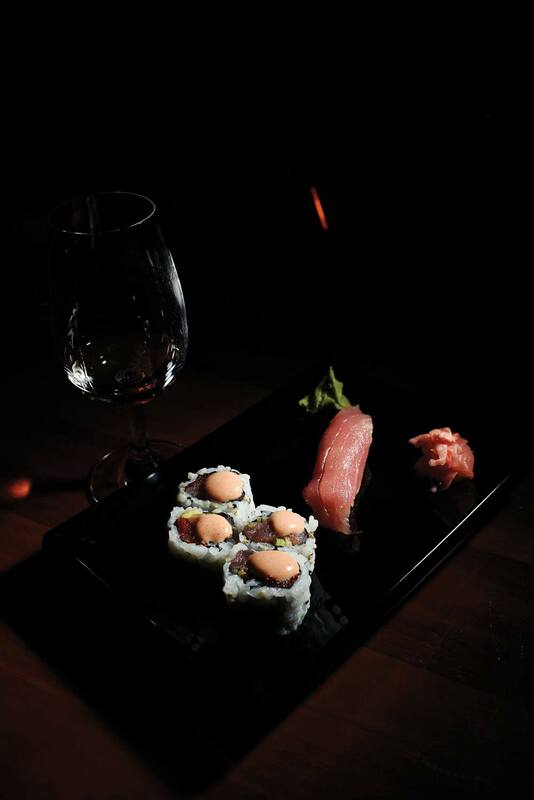 We needed to lock down the six sushi courses, their order and what flavours we were to expect as the dishes progressed. After this point we spitballed ideas with the type of flavours we wanted from the matching: would it be to complement, accentuate the flavour in the sushi, or cut through and reset? Bryce and Conor (ex-Tio’s now ours) really spent some time looking at what agave product we wanted to match with and if we didn’t have it – where to source it. The complement-or-contrast feature of pairing is one of the most fun parts in regards to the creative process, especially when you have access to as many interesting spirits as we do today. Parallel to the flavour pairing and the chef’s journey, we want to create an undulating spirit journey as well, and managed to get this to sit really well as part of the experience. From a business perspective, what’s the benefit of hosting dinners like this in a bar? It really showcases the diversity and knowledge we have behind the bar. The team are incredibly talented and it allows us to flair a bit and just step outside of the box a bit more than we usually do. The trend for drinking culture is shifting, where we’re seeing more and more of our customers eating with their drinks in the evening. We get to open up our bar’s appeal to the culinary-minded consumers out there that may otherwise opt for a dining venue on a midweek evening. As you establish events like this the financial aspect can be negligible, but in the long run you can see the benefit of investing in the equipment as it opens up other avenues for diverse experiences and crossovers that would otherwise remain logistically impossible. Outside of the fiscal investment, the relationships that it can grow and foster can be hugely beneficial – who doesn’t want a chef on their side?! It also gives the team some creative space to play in that can keep them motivated, broadening their learning and getting new toys to play with.